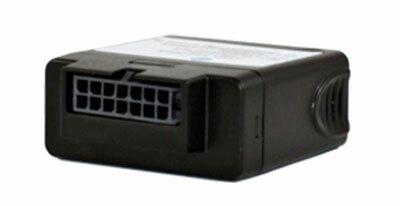 Fleet GPS tracking units, real-time tracking. 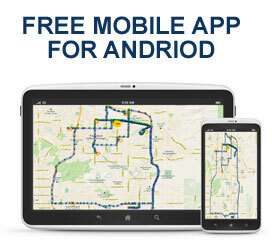 Fleet tracking no monthly fees. $265 Includes 1 Year Of Service. GPS and Track had changed the way fleet tracking is done. 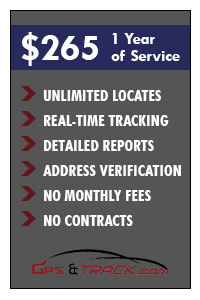 With the fleet trackers there are no monthly fees. Real-time GPS tracking can be a game changer for business. Fleet tracking can increase productivity, lower costs, and increase profits. Our fleet tracking platform gets upgraded with new features constantly. These features are always free to our clients. Get real time fleet tracking with an easy to use platform. It doesn’t matter if you are a single vehicle for large fleet. We can give you the tracking system you need. Click on fleet demo for access to our system. Let us show you the power of satellite tracking technology. Fleet GPS tracking system for only $265. It includes 1-year of unlimited service. Most of all, No monthly fees. Compare our price and features to the competition. You will see why we are the best option. Fleet managers can track drivers, vehicles, job locations, and assets. Our accurate, up-to-date maps are easy to use. The fleet tracking GPS gives you a detailed report. Fleet GPS tracking systems show real time locations and routes. View every stop and starts, speed reports, and much more. What makes GPS and Track so different is NO monthly fees and NO contracts. After the first year if you decide to renew, the cost is only $99 per year. Our mission was to make fleet GPS tracking affordable and simple. Track your trucks in real time. While there are no monthly fees, we’re always adding new features to our platform. You will get these updates at no additional fees. Fleet GPS tracking is a game changer for business efficiency. Don’t consider fleet trackers as an expense, it’s an investment with terrific returns. Unleash the power of satellite vehicle tracking – New FREE upgrades happen monthly. Our fleet GPS tracking unit get new features each month. These features include hard-stop and hard-start reports. These reports will also give a score to the driver based on driving habits. What a terrific feature to prevent wear and tear. Vehicle tracking device reports are very detailed and easy to read. Our system tracks state mileage reports. Makes reporting easy. We are the home of fleet tracking with no monthly fees. Fleet GPS tracking can be a real game changer for business. 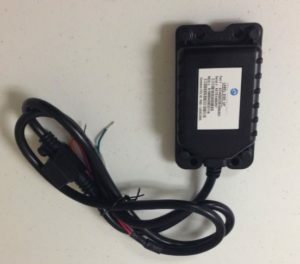 Vehicle tracking devices show every route. The fleet tracker shows when engine is off and on. Even engine idle times. It’s like a virtual car seat. Think of how efficient truck tracking devices can make your business. Use technology to run your business as efficient as possible. Monitor your workforce as they are servicing clients. You should embrace the power that fleet GPS tracking systems offer. Fleet tracking not only gives you a competitive edge but will help lower costs and increase profit margins. With detailed GPS tracking reports you will quickly be able to see how well your employees are doing. Imagine how efficient this technology can make your business. Our fleet GPS tracking system gives you the power to reduce fuel, manpower, and maintenance costs. Even when you are offline, you can receive text alerts for Geo-fences, speed alerts, and much more. With a couple clicks on our website, you are able to see detailed history reports. Is your workforce running as efficiently as possible? Find out with fleet tracking GPS device from GPS and Fleet. CALL US TODAY TO DISCUSS YOUR FLEET GPS TRACKING NEEDS. IF YOU NEED ONE DEVICE OR HUNDREDS, WE HAVE A FLEET SYSTEM THAT WILL FIT YOUR NEEDS. GPS and Track also carries a waterproof real time tracker. This unit will continue to track in real time. This is ideal for those who need to be able to track trailers, equipment, and other assets in real time. This device is waterproof and has a backup battery. The backup battery life is around 7-10 days. With most GPS trackers, the limitation is battery life, not service. This device is ideal for equipment rental companies. It will show in real time where the equipment is and also show how often it has been used. It has an aux wire that can be hooked up for when the equipment lifts, booms, goes up/down, and much more. The waterproof tracker is also idea for trailers. Companies often need real time tracking data on trailers. This unit can be hooked up to the tail lights of the trailer. It runs off the power when it’s hooked up to the truck and will run on the backup battery when it’s disconnected. A powerful asset for almost any business with heavy equipment. Here is example from our real time fleet GPS tracker. The vehicle drove from Las Vegas to Phoenix using satellite vehicle tracking. Notice the GPS system will track constantly in real time. If you have a business and looking to increase productivity, GPS tracking is affordable, reliable, and a total game changer. Fleet GPS tracking can benefit repo trucks, tow trucks, and wreckers. The system will show in real time where the trucks are located. This makes dispatch simple. It will also give alerts when the tow truck hook gets deployed. This is a great tool to prevent side jobs or unauthorized work. Using fleet tracking GPS units on tow trucks also makes running the operation more efficient. Detailed reports such as history, speed, and stop/start reports offers total transparency. ADMINISTRATION: Fleet executives and managers have the ability to conﬁgure their entire ﬂeet for users, drivers, vehicles and landmarks. REPORTS: A broad array of reports are easy to access for ﬂeet managers and provide detailed info about vehicles and drivers. MAPPING: Users can monitor drivers, vehicles, job locations and assets on accurate, and up-to-date maps. BREADCRUMB DETAIL: Breadcrumb detail provides a complete view of each vehicle’s daily activity, illustrating the precise path taken by a vehicle. ASSET TRACKING: Users can track both non-powered assets and motorized assets along with their ﬂeet vehicles. ALERTS: Managers can conﬁgure the fleet system receive valuable ﬂeet information via text message and email.